Today only for one of their deals of the day, Woot! has the L.O.L. Surprise! 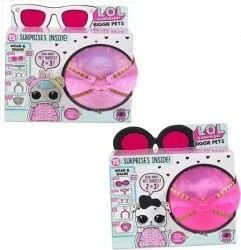 Biggie Pet, Choice of Dollmation or Hop Hop for $26.99. Free shipping for Amazon Prime members (get a free trial) otherwise shipping is a flat $6. Posted on 1/20/19 in Toys, Woot!